Just recently, I had trouble focusing on doing stuff that matters to me, such as writing, reading or even going outside. Wouldn't it be better if you can avoid social media from taking over your life? After 2 years of commencing #NoInstagram, things are getting better at least. But, there is still some part missing from this, which I think Facebook, another species of culprit that is killing our generation. For quiet sometime, I feel like I have wasted a lot of my time scrolling and judging on people's life based on their single picture on my Facebook feed. It finally has come to a point where I feel distracted by it. I wonder how do I get rid of this habit. Unfriending/unfollowing all of my friends? Not a good idea, I still want their updates from time to time, even though it's up to me when to go search for it. Deleting my account? I've tried but couldn't get through it, since I have several developer projects associated with the account. Besides, there are still online accounts that are connected with my Facebook account (eg. Single Sign-Ons). So, nope. You see, I still need Facebook to communicate with my friends and seeing updates from some private groups. So, I wrote a very lightweight script just to hide the News Feed. You can still use Facebook, but when you logged in to your account, all you can see is the sidebar and nothing at the center (the News Feed). Why the News Feed though? Because I think that's the main problem comes from. 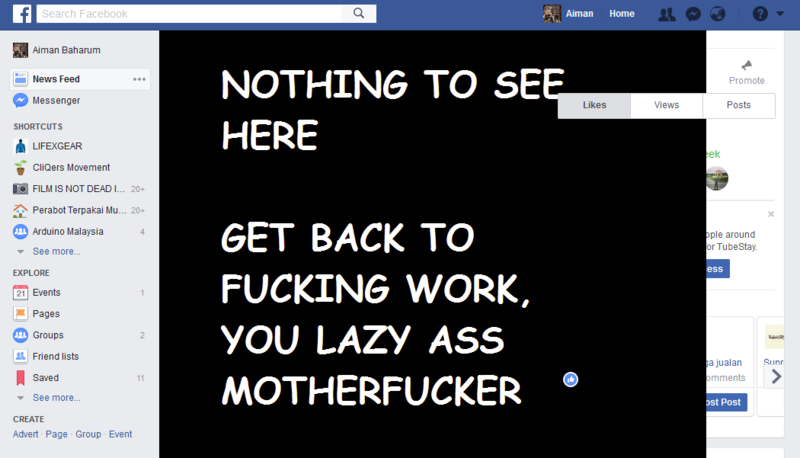 Every time you get into Facebook, first thing you would do is to scroll the feeds until, forever. You keep on scrolling, you'll stop when you see something catches your eyes and you click it to see more. The process repeats until you have wasted some precious time in doing so. Why not hide it. 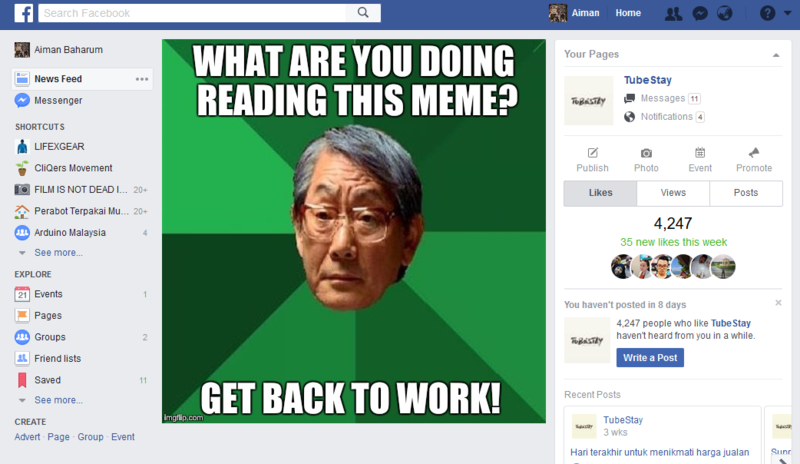 At least you get demotivated from using Facebook, and maybe just stop using it. Or view it on Greasy Fork website for more details. Sample screenshot when you have enabled the NSFW mode.